Context - In the last few years, scientific research and knowledge on climate change have progressed substantially, confirming that the current warming of the Earth's climate is very likely to be due to human activities such as the burning of fossil fuels. The Earth’s warming is already having measurable consequences and future impacts are expected to be wide-ranging and costly. How can we adapt to those changes? Is it possible to limit the extent of climate change and its impacts through mitigation efforts? In 2007, the Intergovernmental Panel on Climate Change has provided new answers in its up-to-date assessment of the current state of knowledge on climate change, summarised below. A full GreenFacts summary of the 2001 Third Assesment Report is available. 2.1 The warming of global climate is now unequivocal. There are many observations of increasing air and ocean temperatures, widespread melting of snow and ice, and rising sea levels. 3.1 The global average temperature is expected to increase by about 0.2°C per decade over the next two decades. Continuing greenhouse gas emissions at or above current rates would cause a further increase in global temperatures and many other climatic changes during the 21st century. Glaciers are melting in many places across the world. Global greenhouse gas emissions have grown markedly since pre-industrial times, with a 70% increase from 1970 to 2004 alone (see Figure). Over this period, emissions from the transport and energy sectors have more than doubled. Policies put in place in some countries have been effective in reducing emissions in those countries to a certain degree, but not sufficiently to counteract the global growth in emissions. 8.1 Mitigation measures to reduce greenhouse gas emissions have a certain cost. However, they also constitute an economic benefit by reducing the impacts of climate change, and the costs associated with them. In addition, they can bring economic benefits by reducing local air pollution and energy resource depletion. If the benefits of avoided climate change are taken into account and a “carbon price” is established for each unit of greenhouse gas emissions, this could create incentives for producers and consumers to significantly invest in products, technologies and processes which emit less greenhouse gases. The resulting mitigation potential is substantial and could offset the projected growth of global emissions over the coming decades or reduce emissions below current levels. 9.1 A wide variety of policy tools can be applied by governments to create incentives for mitigation action, such as regulation, taxation, tradable permit schemes, subsidies, and voluntary agreements. Past experience shows that there are advantages and drawbacks for any given policy instrument. For instance, while regulations and standards can provide some certainty about emission levels, they may not encourage innovations and more advanced technologies. Taxes and charges, however, can provide incentives, but cannot guarantee a particular level of emissions. It is important to consider the environmental impacts of policies and instruments, their cost effectiveness, institutional feasibility and how costs and benefits are distributed. Current warming trends are unequivocal. It is very likely that greenhouse gases released by human activities are responsible for most of the warming observed in the past fifty years. The warming is projected to continue and to increase over the course of the 21st century and beyond. 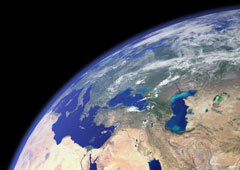 Climate change already has a measurable impact on many natural and human systems. Effects are projected to increase in the future and to be more severe with greater increases in temperature. Adaptation measures are already being implemented, and will be essential in order to address the projected consequences. There is, however, a limit to adaptation; mitigation measures will also be needed in order to reduce the severity of impacts. Mitigation measures that aim to reduce greenhouse gas emissions can help avoid, reduce or delay many impacts of climate change. Policy instruments could create incentives for producers and consumers to significantly invest in products, technologies and processes which emit less greenhouse gases. Without new mitigation policies, global greenhouse gas emissions will continue to grow over the coming decades and beyond. Rapid world-wide investments and deployment of mitigation technologies, as well as research into new energy sources will be necessary to achieve a stabilization of the concentration of greenhouse gases in the atmosphere. Additional research addressing gaps in knowledge would further reduce uncertainties and thus facilitate decision-making related to climate change.